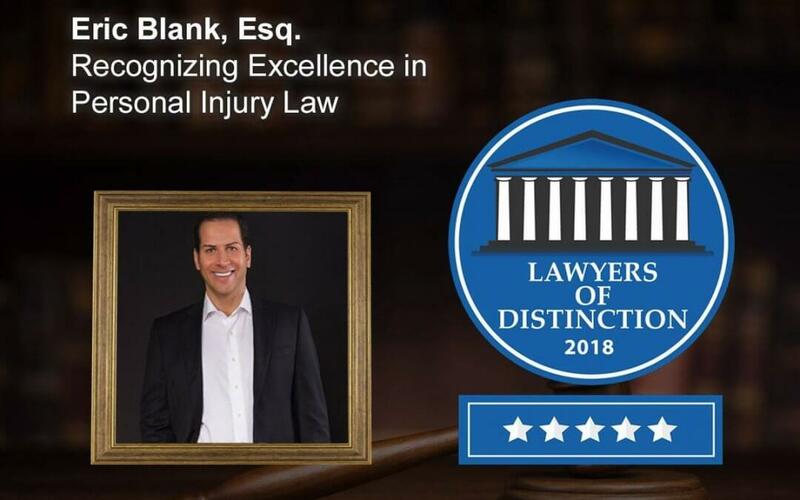 Our team at Eric Blank Injury Attorneys is very proud to announce that Eric Blank was awarded the Lawyers of Distinction award in 2018! Lawyers of Distinction Members have been selected based upon a review and vetting process by our Selection Committee utilizing U.S. Provisional Patent # 62/743,254. The platform generates a numerical score of 1 to 5 for each of the 12 enumerated factors which are meant to recognize the applicant’s achievements and peer recognition. Members are then subject to a final review for ethical violations within the past ten years before confirmation of Membership. We are honored to be recognized for excellence service our community as well as providing the best quality representation in personal injury cases. 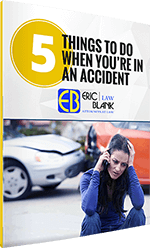 Eric Blank focuses his practice on representing plaintiffs in personal injury and workers’ compensation actions. Before opening his current practice representing plaintiffs, he worked in insurance defense, defending insurance companies against claims asserted by plaintiffs. 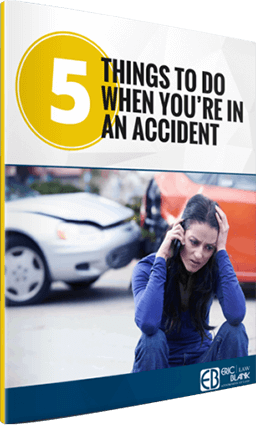 This experience provides Mr. Blank with unique insight into how insurance companies evaluate various types of claims and the strategies they employ to defend them. Wanting a more fulfilling career, Mr. Blank shifted his practice to the exclusive representation of individual plaintiffs against insurance companies and corporations. Since transitioning his practice to the representation of plaintiffs, Mr. Blank has obtained millions of dollars in settlements and verdicts on behalf of his clients. Mr. Blank is also heavily involved in the community. He was voted Man of the Year by the Southern Nevada Chapter of the Leukemia & Lymphoma Society and enjoys spending time volunteering at the Jewish Federation of Las Vegas.